I am a warm and compassionate clinical social worker with a focus on helping and empowering individuals to become sustainable in their lives and in their communities. I have expertise and training with adolescents and adults with a focus in Cognitive Behavioral Therapy, Gestalt Therapy, depression/anxiety, couples counseling, emotional disturbance, anger management and coping skills, and low self-esteem. We are all challenged with life struggles at countless points in our lives. It is during these times that we feel most secluded, confused, or trapped in this world with difficult decisions to make. I find great joy in helping people meet goals and make sense of the challenges you face day to day, whether they are very complex or less complicated, personal or relational. Making the decision to respond to the challenges in your life is the first step. For making this difficult and rewarding decision, welcome to the first day for a new start! 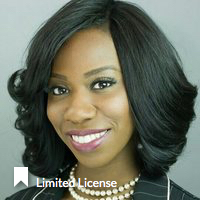 * Rica has completed coursework and received a Masters degree from an accredited university; however, she is not fully licensed to practice independently, and is under supervision with a fully licensed Provider. The State of Florida allows individuals under supervision to provide clinical services to Medicaid patients.